THIS IS A FUN, EASY & HEALTHY WAY TO SUPPORT BARC! 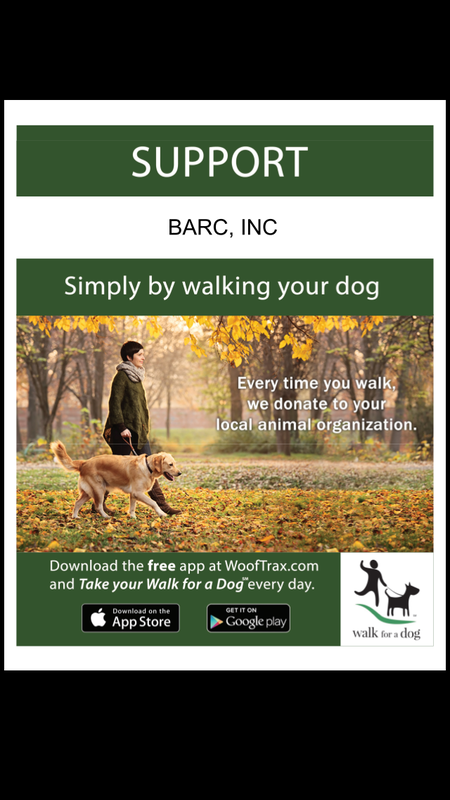 DOWNLOAD THE APP, REGISTER AND OPEN THE APP RIGHT BEFORE TAKING YOUR PUP OUT FOR A WALK. THE MORE STEPS OUR BARC FRIENDS TAKE, THE MORE MONEY GETS DONATED TO OUR ORGANIZATION! IT'S A WIN-WIN!